Why do doctoral students blog? Source: Why do doctoral students blog? This is a copy and paste from Inger Mewburn’s post. Inger from The Thesis Whisperer and Pat from Patter blog aim to find out the answers to these questions – with your help. We’ve designed a small online survey which, we hope, doctoral student bloggers might fill in. We are looking for doctoral researchers who blog regularly or occasionally, on their own blog. The survey is also open to people who blogged during their doctorate and who may now be finished. We are very interested in people who started a blog, but didn’t keep going with it. The survey could take anywhere from 5 to 15 minutes, depending on how much information you want to give us. We will report the results of the survey on our blogs and will also keep you in touch with the paper that we intend to write as a result. If you know a person who might want to fill in this survey, please feel free to pass this link along. Earlier in the week, I thought I had it in something that looked like reasonable shape although I was still not happy with it, so I pasted it into the chapter where it belongs and left if for a couple of days before re-reading it. Previously, I had printed out each draft and read it in hard copy, but this time around, I decided that this was a huge waste of paper, so I just saved electronic copies and read on screen. After all, I mark on screen and I edit other people’s work on screen, and if I work on screen, I can make adjustments as I pick them up, so why not do it with my own work? I started reading it on screen again and then decided that I was going to print myself a hard copy. My printer is currently refusing to print double sided unless I turn the pages manually* and then it sometimes picks up several pages at once, so I get the wrong pages printed on the reverse sides, so I compromised and used the blank sides of old printouts. Suddenly, with the hard copy in front of me, it all started coming together, because on paper, I can circle things, I can draw arrows backwards and forwards and write notes where I want them, rather than when Word thinks I should have them. I can highlight and number things and then spread them out around me so I can see multiple pages at once, all in reasonable sized font. I still have some work to do on the section, but at least now I know what I need to do and how I need to rearrange it. And before people start telling me I can do this all on the computer, yes, I can … but no, I can’t. I have two screens, one of which is actually larger than our TV screen, so I can have multiple version open in front of me. I have tried using highlighting on screen, but scrolling backwards and forwards through the document isn’t the same. I know that people rave about Scrivener, and I think that it would do quite a bit of what I want except that it doesn’t cope with Greek and Coptic fonts – it changes them into odd characters and when I paste it back into Word, the odd characters are still there. *I know exactly what the problem with the printer is. It is old and even though Epson provides drivers for Win8, they don’t actually work properly. It still double sides just fine from Bruce’s Win7 computer. I think that Epson would like me to buy a newer printer, and I probably will, but when we took it in to have it repaired a while ago, the repairer was very impressed by how good it was. Today I collected the 1954 English edition of Jeremias’ The Parables of Jesus from the library and discovered that the information about the Aramaic le is there on p 78. I also read a couple of the footnotes with new eyes and realised that although they said “Examples: …” they might not be simply citing editions of Aramaic texts, but older commentators. Ooops! And yes, kind of: some of the examples are in H. L Strack & P. Billerbeck’s Kommentar zum N. T. aus Talmud und Midrasch vol II (München, Beck, 1924) pp 7ff and others in Paul Fiebig’s Rabbinische Gleichnisse (Leipzig, 1929) – many pages. Strack and Billerbeck is available on-line at https://archive.org/stream/KommentarZumNeuenTestamentAusTalmudUndMidraschVol.2/Kommentar.Strack.Billerbeck.v.2#page/n23/mode/2up but it seems to me that they are not taking the same line as Jeremias. They simply say that the Aramaic le is the equivalent of the German ‘gleich’ (like, similar, the same as), rather than pushing it as far as Jeremias does ie suggesting that it pushes the focus away from the direct object to some other part of the sentence. Unfortunately, none of the libraries to which I have access have a copy of Fiebig, and it probably isn’t important enough to chase it by interlibrary loan. WorldCat suggests that there are no copies in Australian libraries, and although this, as I established earlier, is not always reliable, it is certainly not important enough to get on international ILL. I think I will need to conclude that Montefiore is probably guilty of sloppy referencing because he is likely to have picked up his comment about the Aramaic le from one or more of these three authors and that Jeremias has pushed his translation theory further than at least Strack and Billerbeck did in their treatment of this construction. Guides for the Perplexed are clear, concise and accessible introductions to thinkers, writers and subjects that students and readers can find especially challenging. Concentrating specifically on what it is that makes the subject difficult to grasp, these books explain and explore key themes and ideas, guiding the reader towards a thorough understanding of demanding material. I think that Rafael has succeeded in meeting this brief. In less than 150 pages (counting the endnotes) he has provided a glossary of the terms commonly used in the area (‘The what of oral tradition and NT studies’), an overview of the contribution of the important thinkers (‘The who of oral tradition and NT studies’), an overview of the usual model for understanding oral tradition in NT studies, together with a critique of it and a proposal for a better one (‘The how of oral tradition and NT studies’) and four examples of the application of the model in NT texts (‘The why oral tradition and NT studies’). The four examples he uses are the relationship between the Synoptics, the prologue from Gospel according to John, Paul’s use of Moses, and ascribing Christ as king in Revelation. The thing that I found most problematic is not a content issue, but a formatting one, and one I need to learn to live with if I want to buy relatively cheap books: I hate endnotes! I never know which chapter I’m reading without thumbing back to the beginning of it, so finding the relevant note in the back of the book is tedious. 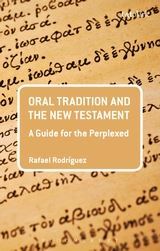 Other than that, I thought that some of the definitions in the glossary were unnecessarily complex – but the fact that some readers would not be happy with all the definitions was something that Rafael expected. I am familiar with the words biosphere and homeostasis from my previous studies in the sciences and I did not think that they were used particularly differently in the field of oral tradition, but I found that I needed to read them through several times in order to make sure that I was right. James McGrath over at Exploring our Matrix has commented on my previous post. The main point I would make in response is that, without writing being involved, the entire notion of a precise verbatim repetition of a story is meaningless. It may be that with some sayings, plays on words were central, and thus we can be fairly certain that such details were preserved (e.g. straining out a gnat and swallowing a camel). But unlike a book read over and over to a child, a story which Jesus composed and told more than once would be subject to the same limitations of memory to reproduce material verbatim that would subsequently affect the retelling by others. Anyone who has written something – even a poem or song in which melody, meter, rhyme, and other features aid recollection – will know that having written something yourself is not a guarantee that you will remember it. I think that what may have been coming across in this discussion is that all memory is distorted so we have no hope of knowing anything that Jesus said. I want to reiterate that I don’t think we have any hope of proving that anything recorded in the gospels is something that Jesus actually said and I don’t think that we can come up with any particularly water-tight guidelines for working out what is most likely to be things that Jesus said because we don’t know enough about the people who wrote the gospels or their circumstances. I do think, however, that there are some things that we know about oral transmission and human memory that swing the pendulum back towards confidence in our material at the level of content. Robert McIver’s work with the psychological data provides some helpful insights although I think he seriously overstate the case that can be made from his research. What I was talking about in my previous post is, I think, another positive factor. I agree that having composed something doesn’t mean that you will remember it word for word. I do think, however, that when a person has composed a story to illustrate a particular point, s/he is much more likely to reproduce the significant points accurately than is someone who has just heard it. I also think that when you are retelling your own story, you are more likely to use similar wording for subsequent retellings than is someone else who is retelling it from your ‘original’ because you talk like you and they don’t. I therefore think that Jesus is likely to have retold reasonably close versions of his parables, so the disciples would have heard essentially the same thing several times. I also think it is likely that the disciples who travelled with him regularly would have discussed them amongst themselves, which would also have facilitated a more accurate recall of something that had been reinforced a number of times. While the process of recalling in a group can tend to ‘sanitise’ the memory of an event, trying to cast the tellers in a more positive light, it can also result in a larger number of more accurate details being recalled than happens when an individual tries to remember something. Both these things would increase the likelihood of accurate memory of Jesus’ version, whereas a lot of the discussion (particularly from me) has been stressing the forces that move memory away from Jesus’ versions. We also need to remember that, as Rafael reminds us, whatever the details of his life were, Jesus of Nazareth must have made a significant impact on those he encountered. After all, his followers were prepared to be killed in horrific manners by the Romans rather than recant their faith. This suggests to me that there must have been situations where flashbulb/personal event memory kicked in. These are events that are so significant that the person remembering them can produce very vivid and persistent details – including visual, auditory, olfactory images or bodily sensations associated with the event (see McIver’s account of work by David Pillemer in ch 3 of Memory, Jesus, and the Synoptic Gospels. Atlanta: SBL, 2011). We also have evidence that in oral societies, once material is established as part of the community heritage, the community tends to take responsibility for ensuring that it is transmitted correctly. Although Bailey’s work (eg “Informal Controlled Oral Tradition and the Synoptic Gospels.” The Asia Journal of Theology 5 (1991): 34-54) has been criticised by some as being anecdotal rather than involving proper controlled experiments, I cannot see how you can do controlled experiments in this kind of area and the observational data that he provides is informative. Do go back to Exploring our Matrix and read James McGrath’s response to this post. I agree entirely. A week or two ago, I got bored with the look of my blog and changed it, but did it in a hurry and failed to notice that the new template didn’t actually include a sidebar for widgets. I think they are all back now, although I am not particularly happy with the look of it and will try to find time to change this in the not too distant future. The blogroll also needs work.